Glazed ceramic with 18-kt. gold accents. 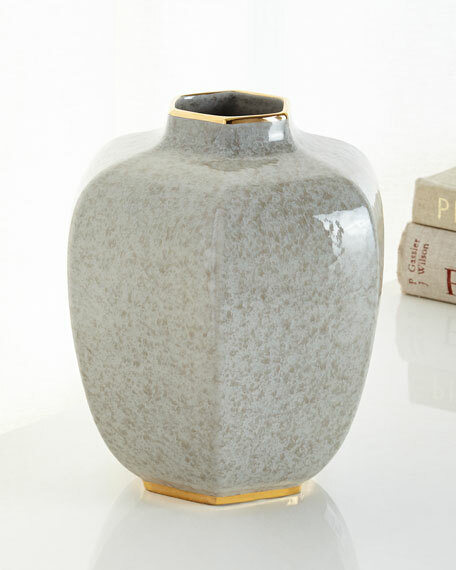 Handcrafted porcelain vase edged in 14-karat gold. From the Composition Collection. Hand-enameled metal butterfly and flower. 4.8"Dia. x 10.8"T. Hand wash. Made in the USA.